These sublimated cut and sew shirts developed through years of evolution are made with a unique blend of fibers that allow the shirt to breathe more then your standard sublimation shirts. This exclusive line is triple stitched for durability and is designed to fit the contour of your body for the most maximum comfort and enjoyment. 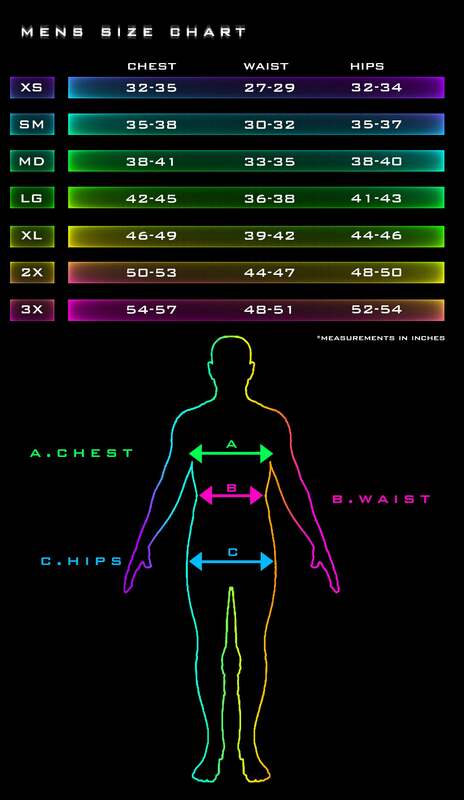 (A sizing chart is provided in this listing for your convenience). The dye transfer infused into the material means that your shirt will have a vibrant everlasting print just like the first day you bought it, because it is Polyester it has pop under UV light which makes it perfect for all festivals and events, and because we care about the world we live in all of the polyester we use to make these shirts are made from recycled plastic bottles. These shirts are a crowning achievement and is Handcrafted and Made in the USA for you with Integrity, Honesty and Love.